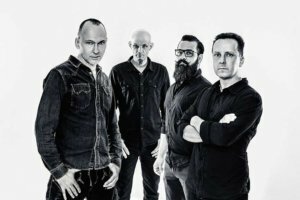 After more than 20 years of band history the new album title ‘Tempus Fugit’ is very accurate. Because the merciless time is the main theme of the album. The songs on ‘Tempus Fugit’ are real serious and profound and leaves you thoughtful and humble. At least I felt that way after listening to this honorable work. Mostly all tracks are played in the mid-tempo range, and sounds continuously aggrieving. 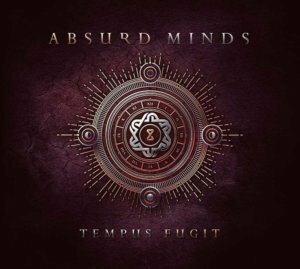 Everytime when I listen to an ‘Absurd Minds’ song, it sounds to me like an typical ‘Project Pitchfork‘ song. I think that is mainly due to the fact that the voices of Stefan Großmann (Absurd Minds) and Peter Spilles (Project Pitchfork) sound similar dark, gloomy and soothing. The opener begins with a moody low-tempo dark tone beat. Electrically distorted voices and a touch of oriental women’s singing and instruments give ‘Time Travel’ a unique character. For an album introduction this is the perfect choice. The second track ‘Farewell’ is definitely more catchier, but nevertheless a radio pop song. The song takes a lot of time in the composition of the structure, but feels beautiful at the beginning of the chorus. Fans of the 90s dark disco will love these tunes. ‘Now We Hear The Call’ opens itself bittersweet and full of emotions to the listener. The melancholy is particularly emphasized by the long-drawn violins. The lyrical line ‘Times ticking by’ travels hypnotically from the left to the right channel in the bridge. This leaves unpleasant memories in my emotional world. However, this song also gives the listener a certain hope. The song ‘One World’ has a little bit of a typical ‘Covenant‘ club hit. Although not quite as fast, but with more feeling. But the tempo is clearly increased with the following ‘For Those Who Love’. We still move in the mid-tempo area, but this could definitely be a dance floor hit. 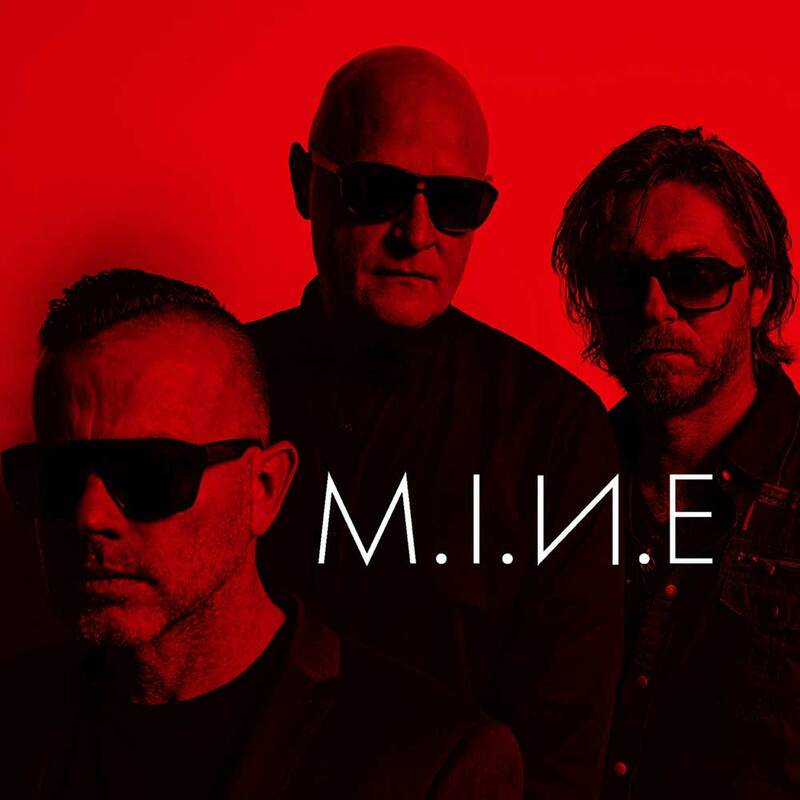 Here, finally, a classic e-piano melody is used, which gives the song an excellent 90s EBM painting. At the end of the second third, ‘Threnody’ awaits us. Here it is a little more gentle on the album, but this powerful song comes along with an incredibly catchy chorus. The lyric line ‘We know nothing at all’ will hall in your mind for a long time. Wise words for a truly sad and graceful song. If the ‘Pet Shop Boys‘ made a gloomy Synth Pop song with Darkwave influences, it would sound like ‘Design Or Coincidence’. The track has probably the strongest pop factor on ‘Tempus Fugit’, and comes with an uncommon ease on the album. ‘Design Or Coincidence’ is a Pop song to be taken seriously. We really love this kind of genre combination. The album is a black celebration of times that passed by. A trace of lost memories and farewells that hurt. 7 long years we had to wait for a new ‘Absurd Minds’ album. The maturing process is almost unbelievable. 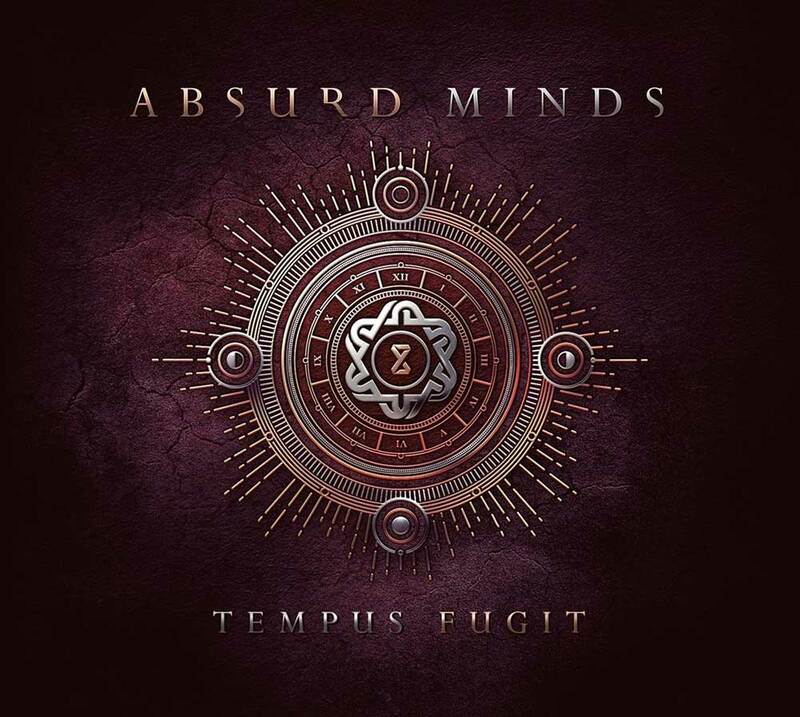 We didn’t expect a such strong album, but we really enjoyed every minute on ‘Tempus Fugit’. If you have the longing to travel to some bleak times, then you should ensure to have ‘Tempus Fugit’ in your bag.